Credit has become a necessity in our normal lives. Almost everything requires credit – from renting an apartment, getting a cell phone and sometimes, even landing a job. Have you wondered how you can live without a credit? In this new age of technology and harsh economic times, the credit card has become the wallet’s best companion. We have become dependent on plastic to make our activities more convenient whether in paying our bills, making purchases and receiving money. However, getting a credit card isn’t easy because one has to have a good credit history. Recent changes in the law and new credit card features are about to change all that. Now, there are more options and extra protection for those who are just beginning to establish their credit history. People with no credit are usually composed of students, immigrants and new workers who have never had a credit card or a loan. They might have a clean slate but credit-wise, having none is worse than having a bad record on file. Regular payments over a period of time can restore a bad credit record. However, a blank credit record leaves the financial institutions with no easy basis to evaluate your credit-worthiness. They need to look at your past payment history and your capacity to repay your bills on time. The good news: there are credit cards for people with no credit. College is usually the time when most people try to get their own credit card. It was an all too familiar scene before: card company tents and booths across college campuses trying to acquire cardholders. Most of them offered sweeteners like low interest rates, free spending money, electronic gadgets and other freebies. The college campuses were ripe harvest fields for new cardholders. On May 22, 2009, then President Barack Obama signed Public Law 111-24 or the CARD Act of 2009. The Credit Card Accountability Responsibility and Disclosure (CARD) Act of 2009 was intended as a Bill of Rights to protect credit cardholders. It also prescribed stricter guidelines in issuing cards to a consumer under the age of 21. In essence, applicants under the age of 21 must have an adult cosigner and must have the ability to pay the debt on his own. This law effectively limited the loose issuance of cards to many college students. These regulations seemed to be effective in preventing predatory finance companies from preying on cash-strapped students. New cards opened by college students have been declining since 2009. In a 2016 study, more students are using debit cards (85 percent) than credit cards (65 percent). Many of the students reported that they use credit cards less because they want to avoid debt. We’ve said that credit is required for nearly anything. Prospective landlords will require it and your bank will want to check it before it finances your first car. There are several ways to get a credit card without a credit history. You can then use these cards to build a credible credit standing that will be to your later advantage. When you are ready to take out a mortgage or apply for a business loan, your history will up your score. Get A Co-Signatory To Vouch For You. If banks won’t give you a credit card, you can make use of someone else’s credit to get one. A good guarantor would be someone with a good job and an equally good credit. Find one who is a client in good standing of the bank where you are applying for a card. The bank is likely to grant if that person has sufficient deposit and/or credit business with that same bank. However, getting a credit card with a co-signer comes with great responsibilities too. You are involving another person with your credit performance. Your guarantor would have to look over your shoulder to see that you are being financially responsible. Remember that if you miss your payments or over-extend your card, your co-signer’s credit is affected. In fact, some credit card agreements would allow the bank to run after your co-signatory if you default. Think carefully if you can really manage your credit card debts before you apply with someone else. When you don’t qualify for a traditional card at the moment, a secured credit card is a great solution. Getting a secured credit card requires you to put down a deposit that is sometimes higher than the credit limit you will get. The card itself will work like a traditional credit card and your card activities are reported to the credit bureaus. This way, you will eventually be able to build your own credit. You will also have to pay your monthly credit card bills just like in a traditional card. In case you fail to pay, the bank has the authority to use your deposit to pay for your credit card bill. They might even charge you a penalty. Keeping your payments updated and on time is important in building good credit. The bank will almost always approve a secured credit card – and much faster too. After all, they have all the fallback security in their hands. Plus, they will also make money off your credit card use. The bank has nothing to lose. You have nothing to lose. If you can’t qualify for an unsecured credit card, a secured card could be your best and only option. Use it to build your credit. The secret to all this is making sure to manage your card use very well. Don’t go over your limit but try not to max out your card. Always aim pay on time and if you can, pay even earlier than the due date. If you are able to do so, pay the entire amount due and not just the minimum amount needed. When you prove to the bank your credit worthiness, you can usually get an upgrade. You can apply for an unsecured version of your card. You can also cancel the existing card and get a new card with more perks and benefits. Either way, you’ll free up your deposit so you can get it back. Remember not to default at any time and pay your card’s balance in full. It only takes a few clicks to know if you pre-qualify for a credit card. Some major credit card companies have an online facility that checks if your profile pre-qualifies for a credit card. These pre-qualification finders usually make soft credit checks or soft inquiries. Soft inquiries neither damage nor affect your credit scores because they are merely for informational purposes. 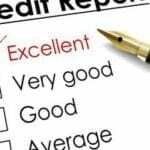 Since soft pulls are inquiries you didn’t request, credit bureaus do not factor them into your credit score. However, should you actually apply for a credit card, they will become hard inquiries and show up on your credit score. Hard pulls potentially lower your credit score because lenders might conclude that you are a greater risk. This is particularly true when several hard inquiries show up under your name within a same period. Remember: Pre-qualified is not synonymous to pre-approved. The bank will eventually look at the overall conditions before giving you a credit card. Factors like your current income come into play and may cause the difference between approval and rejection. In case you are denied, you will normally get a letter that will tell you the specific reason(s)for the disapproval. This information can help you plan what to do next. If you’re still a student, you are most likely not to have a credit score that banks can refer to. If you have a very limited credit history or have no debts or loans, the credit bureaus may not have enough credit information on you. Don’t worry – you may still try to get a student credit card. A student credit card is a starter credit card. It works like a regular credit card but most of the features are specially tailored for college students. These include cash rebates, waived annual fees, reward programs and even monetary gifts for good grades! To get one, you’ll need proof that you are currently enrolled at a qualified college or university. If you are under 21, you’ll need proof of income or a co-signatory. You ought to be able to get one of these student credit cards. A word of advice – compare offers and choose carefully. Some student credit cards are easier to get but they are not student-friendly. Some charge high-interest rates and have a heap of fees. Nevertheless, one of the easiest ways to build your credit is by getting and then sensibly using a student credit card. The fastest way to get a card and build a credit history is via a prepaid card. A prepaid card does not require a credit history and works the same way as a credit card does. You can use it to pay bills and to purchase online and in traditional stores, even abroad. Some cards would also allow you to withdraw money from ATMs. Some companies add incentives for the use of the card such as cash-back offers and discounts. It also frees you from over-spending since you can only purchase as much as the balance you have loaded to the card. You can only put enough money on it for your current needs and keep the rest in the bank. However, before you get a prepaid card, confirm that your credit will really be reported using the card. For example, Capital One Reloadable Prepaid MasterCard does not require a credit check and there’s no activation fee. Nonetheless, it does not build credit. Conversely, the Bancorp Bank Purple Diamond Prepaid Visa RushCard charges an activation fee – but it helps create your credit history. Tough It Out With A Store Credit Card. Retail stores are quite lenient to people with no credit history so try your luck with them. Your best bet would be ‘closed-loop’ cards or cards not affiliated with MasterCard, Visa or other major brands. You could probably only use the card at that particular store but hey, it’ll jump start your credit history. Here’s a warning: they often have low credit limits and high-interest rate (See how to reduce your card interest rate). Keep your balance minimal and pay off your total balance every month to avoid extra financing charges. Read More: Should You Borrow Against Your Insurance Policy? Read the fine prints. Yes, they’re really small but go through the trouble. After all, you don’t want to find out later that you can only use the card at certain stores. Or that the interest rate doubles after a promotional period are over. Be mindful of the contract provisions. Keep an eye on your credit score. When you begin using your card and paying the balance, your credit score changes. Keep track of it to make sure that you are building a good history. Pay the balance every month. Create a monthly budget and make sure that you have money to pay for what you will charge to your card. This way, when the bill arrives, you can pay the entire balance. It will dramatically hurt your credit score if you miss a payment or if you carry your balance to the next cycle. Do some research and compare card offers and terms. Not all cards are the same so look for the one that works best according to your lifestyle. Check the rates, fees (check out how to reduce balance transfer fee), conditions, penalties, rewards and cut-off dates. Have a plan to manage your credit card. People who do not have a plan how to use their credit cards often end up using them irresponsibly. If you are planning to zero out your balance every month, look for a card that gives the most rewards. Some student cards offer a cash-back incentive. Before you actually apply for a credit card, arm yourself with information. For example, if you’re likely to carry over some balance to the next period, get a low-interest card. Several student cards offer a zero-percent APR for the first 6-8 months. This is a good way to help you pay off large purchases over the introductory period without paying for interest. Others have installment plans. Check for all the benefits such as low-interest rate, no annual fee, loyalty points, cash rebates and reasonable credit limits. Learn how the billing cycles work so you can time your purchases. Many financial institutions offer free online tools to help you track and manage your expenses. Your Mother Was Right: You Should Get A Job. Obviously, you must have sufficient income to pay off your credit card debts – especially if you are below 21. You cannot use other people’s income on your application if you do not have reasonable access to that money. In other words, you should have your own source of income. Having a job guarantees to have a monthly income. This, in turn, improves your chances of getting approved for a credit card even without a credit history. Higher monthly income means higher chances. It may be your first ever credit card but it will have a big impact on your credit. I am talking about the many years yet to come. Though you have no credit now, this is bound to change as soon as you get a credit card. Be responsible and keep your credit card account in good standing from the beginning. It can save you the years of hard work it takes to remedy poor credit later on.